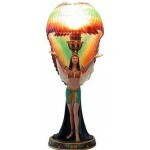 This stunning Egyptian Isis table lamp has translucent wings and an Egyptian Revival style. So gorgeous, so unique! 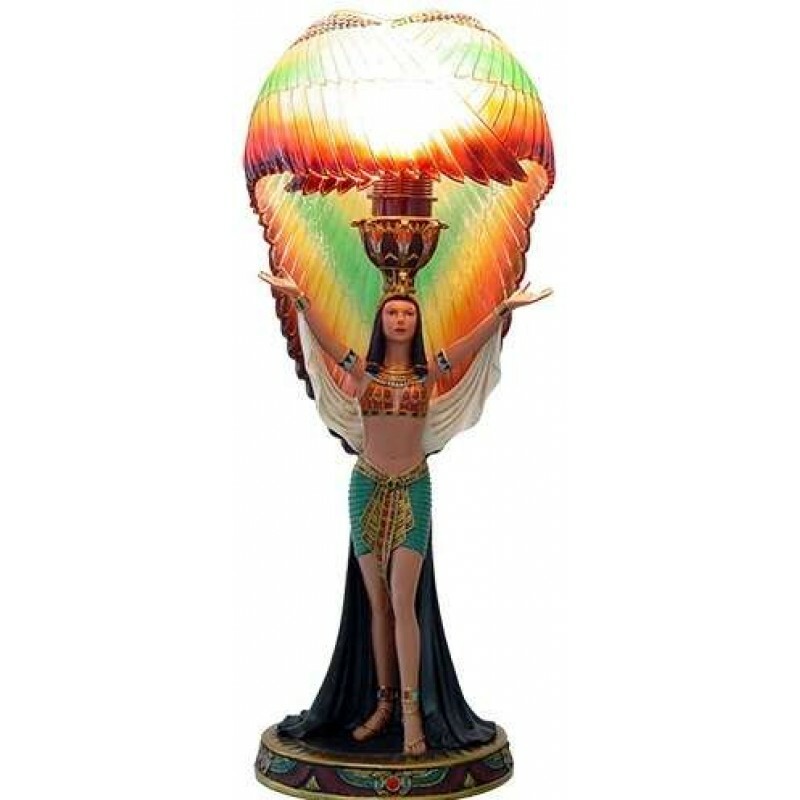 This Winged Isis table lamp is 18 3/4 inches high with stunning hand painted color detail and translucent wings that wrap up and around the included bulb to create a built in lampshade. 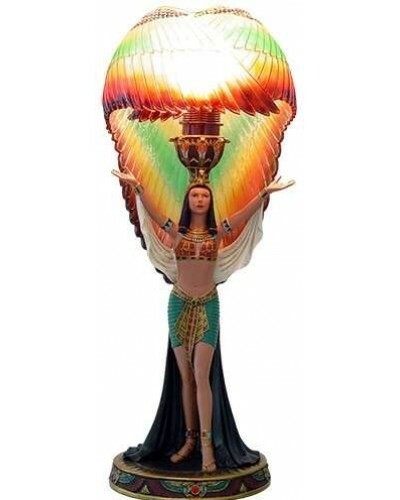 Arms outstretched with a translucent veil, their is a slight art deco/Egyptian revival feel to her costume. Cold cast resin with hand painted color detail. 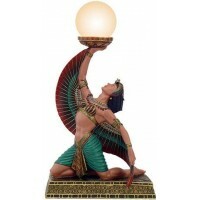 A truly unique and amazing, functional work of art for your home or office. UL listed power cord has on/off switch. Item Number: PT-11687 | Approximate Size (Inches): 7.75 wide x 7.75 deep x 18.75 high | Approximate Shipping Weight: 7.00 lbs. 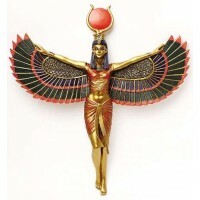 Goddess Isis spreads her wings on this stunning Egyptian wall plaque. Measu..